Alumnus has loaned the work to MIT for one year in celebration of the Institute’s 150th anniversary. 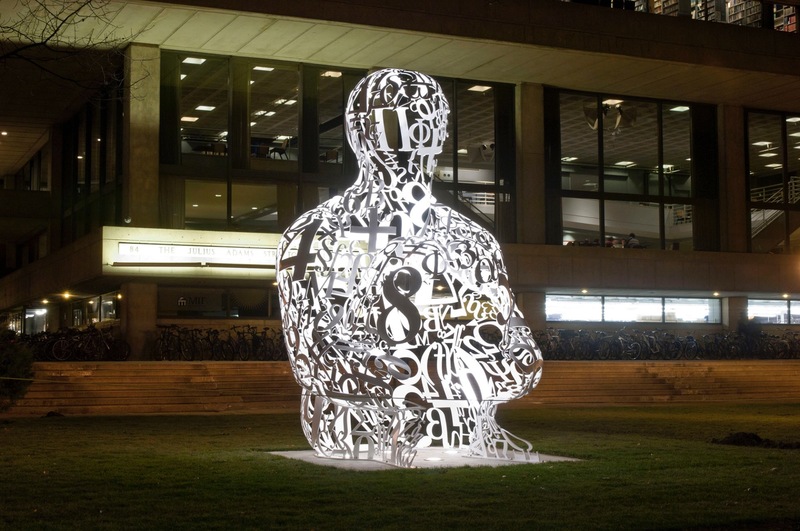 Installation of Alchemist — a major sculptural work by Spanish contemporary artist Jaume Plensa that is on loan to MIT for one year in celebration of the Institute’s 150th anniversary — has been completed and the artwork now sits in the grassy area between Massachusetts Avenue and the Stratton Student Center. 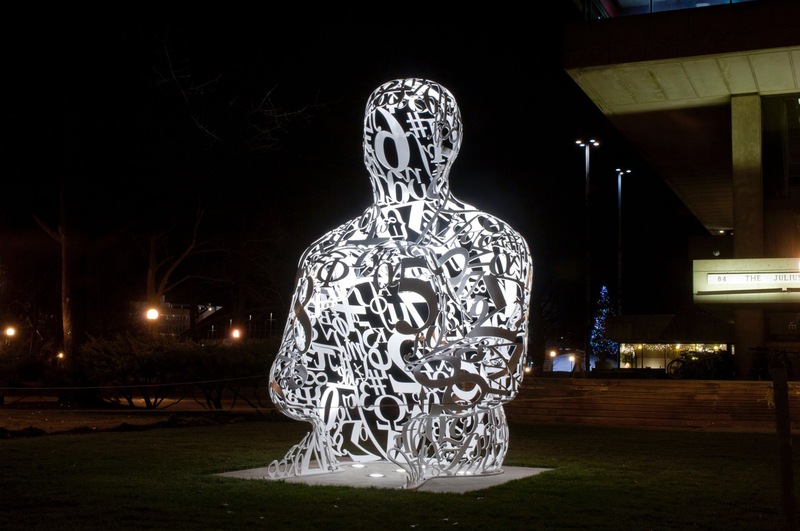 The sculpture consists of mathematical symbols in the shape of a human form. It was commissioned specifically for the sesquicentennial celebration; an alumnus has underwritten the work.